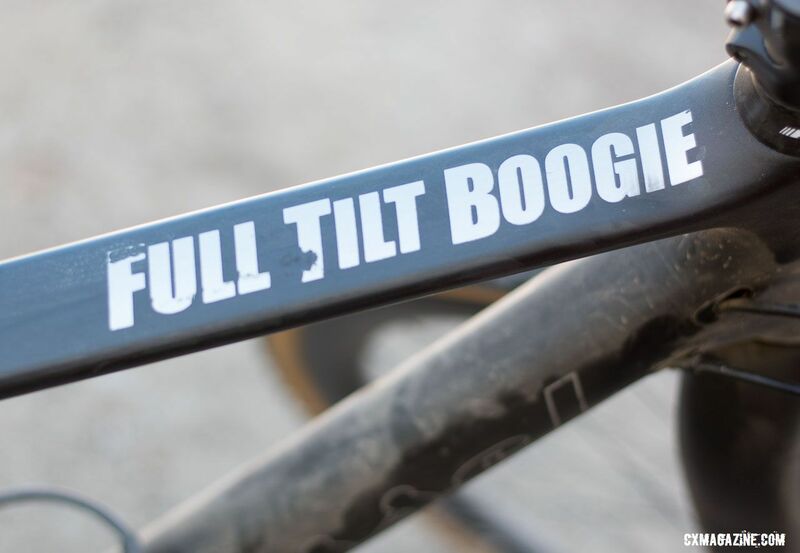 We're starting to wrap up our 2016 Sea Otter Classic coverage and are taking a look here at Cassie Maximenko's Van Dessel Full Tilt Boogie that she rode at the event's cyclocross race last month. 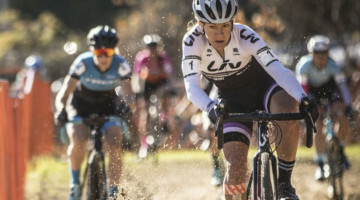 At Sea Otter, Maximenko (Van Dessel) was racing for fourth in the Women's Elite race and tangled with Laurel Rathbun (Raleigh Clement) late in the competition, ultimately crossing the line in fifth after landing in the race car track's pile of tires on the side of the course. Maximenko filed a protest at the end of the race, maintaining there room for Rathbun to pass. 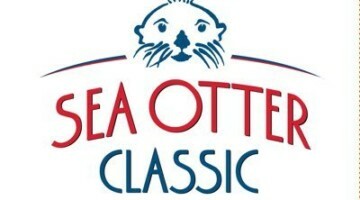 But officials denied the protest, and Maximenko finished fifth. The bike and rider were mostly fine after. 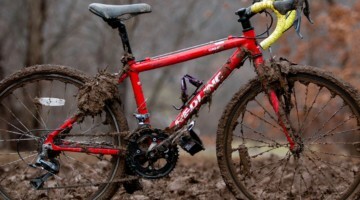 Maximenko was all smiles and her bike had just a slight scuff on the bar tape. 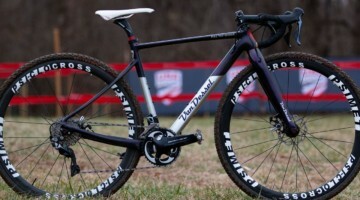 Post-race, Maximenko gave us a few minutes to take a close look at her Van Dessel Full Tilt Boogie cyclocross race bike. The Full Tilt Boogie was reworked by Van Dessel not too long ago and features a full carbon frame and fork that has switch between quick release and thru axle dropouts, one that we awarded with an Editor's Choice Award in 2015. 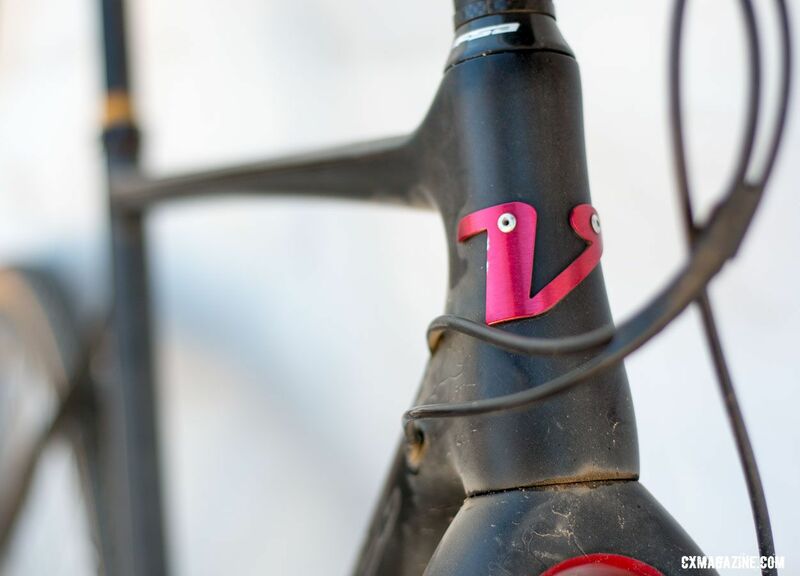 As a race bike, there are perhaps obviously no mounts, hidden or otherwise, for things like fenders or racks. 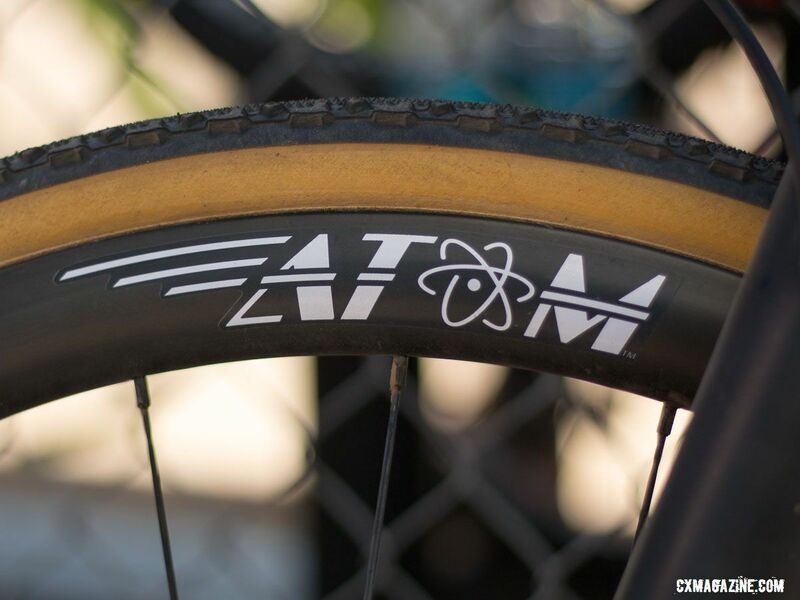 While the bike can accommodate tires up to 40c, as a UCI racer, Maximenko runs the required size tires. The drivetrain is a full SRAM Force 1 setup with Maximenko opting for a 40 tooth X-Sync ring up front. 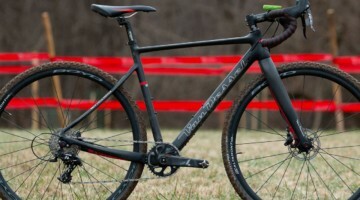 While the cockpit components come from FSA, her post is an alloy setback Thomson Masterpiece Elite. 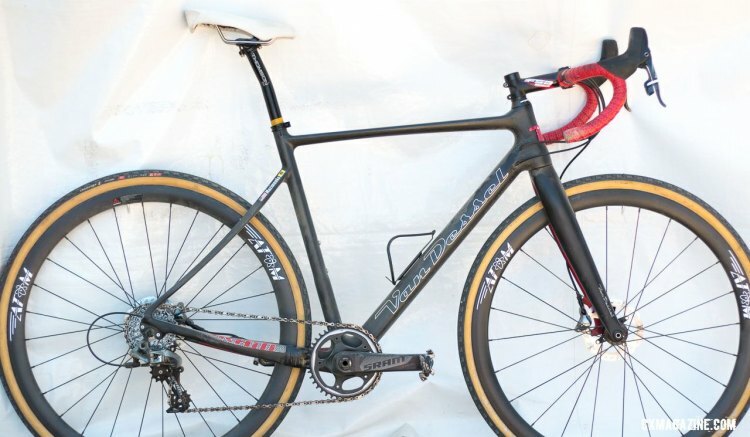 Unique perhaps to Maximenko alone in the pro field, her saddle choice is a noseless ISM model, a holdover favorite from her triathlon racing days. Also likely unique to Maximenko's bike is her choice of tubular wheels from the small wheelhouse, Atom Composites, based in Signal Hill, California, wrapped in Challenge Chicanes. Maximenko puts the power down on a pair of Shimano's XT pedals. 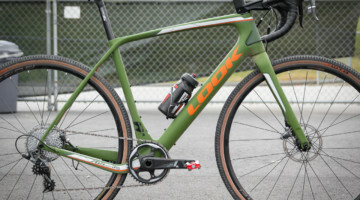 The build is a race bike through and through and one with some unique component selections. 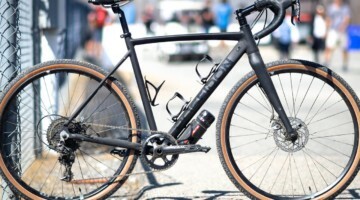 A keen eye might note the affordable FSA Energy stem and Omega handlebar up front—no carbon here, and far from FSA's top-of-the-line offerings. Taking Maximenko to fifth at Sea Otter, we'd suspect she has many more successful races ahead aboard this bike. 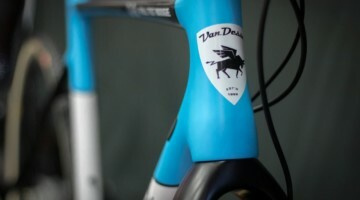 Van Dessel bikes ROCK! 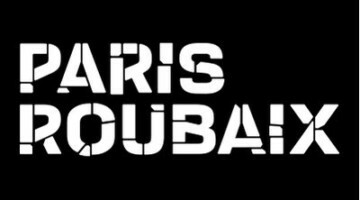 I”m on my 12th.